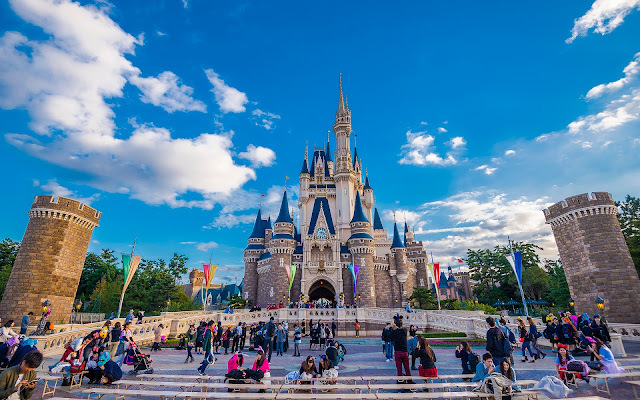 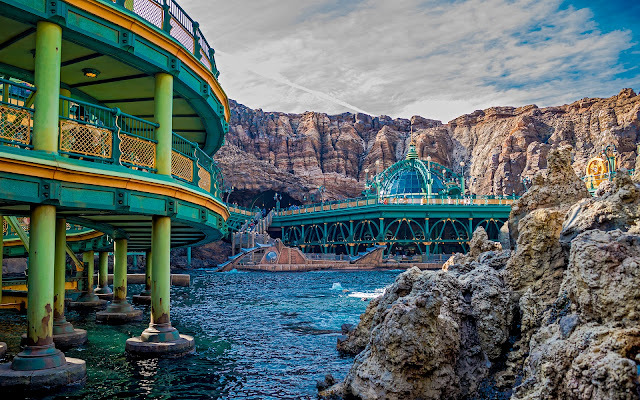 My favorite aspect of Tokyo Disney Sea is how incredibly deeply it immerses guests within the atmosphere if each of its seven ports of call. 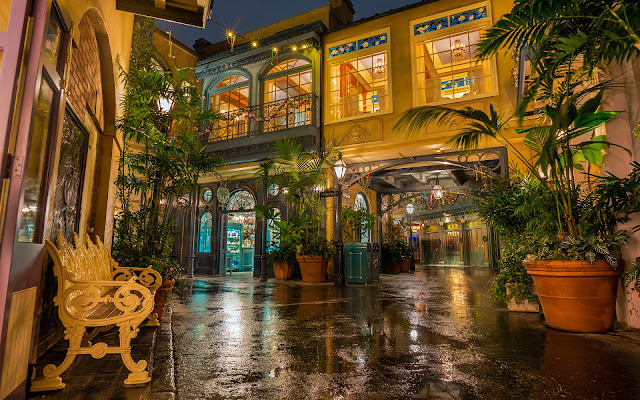 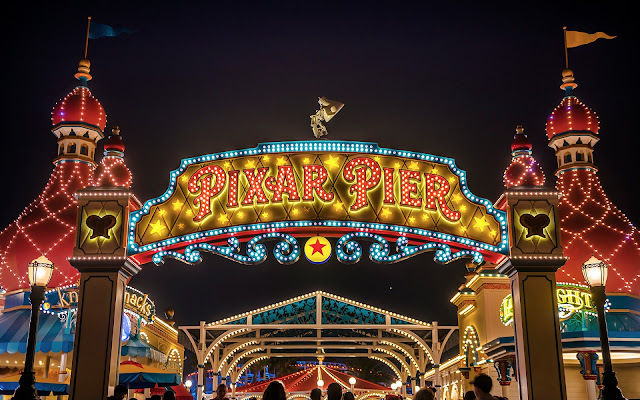 The theming is incredibly detailed, and the environment is wholly enveloping, as though you were truly in New York at the turn of the last century, or along the Italian Riviera, or in a mysterious caldera, or a seaport of the future. 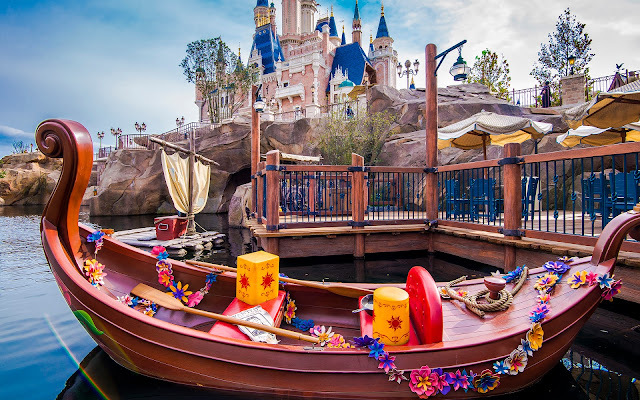 The Lost River Delta might be the most believable, however, with its tropical jungle wrapping all around guests. The lush foliage, tranquil waterfront, and even massive ruin looming in the distance really impart that adventure of discovery, and the scene overlooking this themed land is absolutely marvelous. 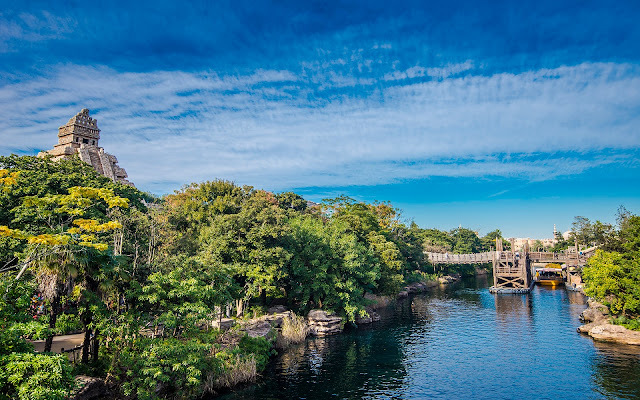 A look out across the Lost River Delta at Tokyo Disney Sea.